A slim and simple food storage solution, this fridge by Westinghouse is the perfect appliance for a rental property renovation or as an additional household refrigerator. Convenient and supremely functional, the WTB2300WG has an easily reversible hinge – which makes it an ideal option for compact kitchens where space is at a premium. 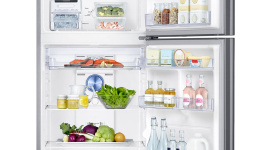 Featuring Westinghouse’s FlexStor™ configuration, you’re able to adapt the internal layout of your fridge with ease, a great asset when it comes to reducing clutter whilst entertaining. With a classic white aesthetic, the WTB2300WG is a solid and sturdy fridge that’s easy on the eye. 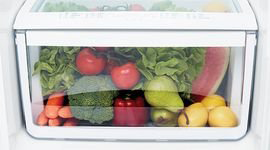 At the base of the fridge, you’ll find the large crisper drawer, for storing your fruit and vegetables. Storage is made simple with flexible/removable shelves and storage bins which can be easily adjusted to accommodate larger items. i bought it a month ago and never fails me to keep my food fresh. I'm very happy with this fridge It works well thank you. So happy with my purchase. Can not fault this this company. Very happy all round. I knew this was a small fridge, but hadn't realised that (a) the shelves are not height-adjustable and (2) that there is not enough space between them for a 1K carton of yoghurt to stand upright. So, the fridge is OK, but not as flexible as I'd hoped. I bought this fridge about a month ago and it has been great! I love the freezer size and it is big enough for me and my partner to fit everything we need.Very quite and big enough for me and my partner. Good size for a family of two. I bought this three weeks ago. The flexi shelf design is good to fit size of food stuffs. The fridge meets all the needs of a small family. service to my home was spot on, No complaints at all. The fridge is purring away nicely .i like the height,it is my first frost free fridge, so overall a very Hamper Fella. I bought this fridge about a month ago, and I'm very happy with its appearance and performance. It's slightly smaller than my old one, but that's not a bad thing - it stops me from over-buying! The freezer is slightly bigger than the old one, which is very helpful. My only gripe is the twist ice-cube thingy - it freezes so well that it's impossible to empty the trays into the receptacle! A bit irritating but a minor issue! For a single person unit, this fridge is perfect. My old fridge was a bit bigger, so when this was delivered I was a little worried that it was smaller. But Iâ€™m only one person! Dunno why I thought I needed anything bigger. So good to have decent freezer space. Really happy with this purchase, and great delivery service too. Good size for one person, quiet, keeps veggies crisp. But the 'easy' move shelves in the door are so easy to move they fall off constantly and it is incredibly annoying. I am happy to have bought this fridge recently replacing an old and large fridge which was 27 years old! Not to mention it was using unnecessary energy. With the new fridge I like the ice cube tray component; you twist the dial/s allowing the ice to drop into a tray. In addition, the beep when the fridge door is left open for 2 minutes. I bought this fridge a month ago for my office and it is everything that I need. A bit like a bar fridge with a freezer on top but with good quality internal fittings. It's a fridge, my food is cold. I haven't had anything to complain about with my new fridge since I've got it. Nice and quiet. The ice tray hasn't twisted up and broken. My food is cold. It's a perfect fridge for one person who likes to bulk shop and fill the freezer. Bought 230lt fridge to replace a cheap Chinese fridge,the westinghpuse is heaps noisyer tried packing foam around front didnt help much,selling it cheap! I needed a small fridge for my new place, as the fridge gap was only small. This fridge fits perfectly, but certainly doesn't lack for space inside. I've found the fridge and freezer have more than enough space for one person's groceries. It's been great. got this fridge delivered very quickly and promptly. ideal for 1-2 people. I bought this refrigerator recently, the service and delivery people were amazing. The fridge is a great however to small for our family. I wish i had seen it physically, would have gone with larger model. Otherwise great price and service. This is a compact fridge second fridge. Good internal storage spaces.Clever compartment that slides out when you lif the door for cheeses or whatever ? This is a really economical fridge that fits my minimalist power consumption and storage fridge. 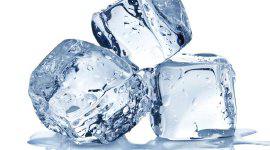 Saves space and freezes ice cubes without a problem. Also Iâ€™m so happy thereâ€™s a compartment cover that helps me cover my marinaded meat. Ideal balance of Fridge and Freezer capacity. This is a replacement unit for a earlier unit, unfortunately with the earlier unit a complete power outage for six weeks whilst we were away, due to a external supply fault resulted in a massive putrefaction of the contents which included a significant amount of fishing bait. Nothing absolutely nothing could remove the smell. We replaced like with like as these are great units. I bought this for storing drinks and sweets. Mostly fine but if it has more flexible shelf choices, it will be 5 stars for me. I was not satisfied about delivery. I had to wait from morning as their advice but they finally showed up 5pm instead of plan 7:30-9:30am. Excellent value for money. Quiet, cold and fits perfectly on small spaces. Plenty of room in the fridge for a household of 2 people. I recently moved into a granny flat and needed a fridge that would suit the needs of one person. This is the most perfect fridge, the ice tray is amazing, it keeps the temperature very well and I barely even know it's there. Sometimes you get a lemon unit when you buy anything but that doesn't mean every unit is defected. Lasted 3 weeks and I arrived home from work with everything melted but the fridge sounded like it was working fine. Appliances Online let me choose a new fridge in the size range available and I chose a model $10 more which I would have paid but they waived that and delivered in less than 24 hours the new fridge. Awesome service. Bought my first products from A.O. in 2010 and now I wouldn't shop anywhere else for appliances. We were pretty limited for the space our fridge could fit. We went with this one because it was so cheap with such a high energy rating. It fits with our circumstances but would not be useful for a family of more than two; it is ok for now. I bought this within a month Iâ€™m ok with it it is noisy at intervals but as I needed smaller Westinghouse it does the job. I bought this fridge for just myself. Great size and the freeze compartment is large. The first one delivered was faulty but appliances online sent a replacement within 24 hours. Great service. The replacement fridge works perfectly and I would highly recommend. I bought it almost a month ago. So far I am happy about it. I am glad i bought this fridge, it works perfectly has great features, yet is simple and well constructed. I bought it a month ago - bright light - heaps of storage compartments, very compact. Great for a small space. An Emergency fridge was needed and this one is a dream. Great customer support, delivery and brilliant product! I bought the fridge in December but then found it was not working - faulty, not getting cold at all. After contacting Appliances Online, they arranged a service guy came for inspection followed by a replacement. AO was very efficient but the replacement was just so so. The 2nd one was very good, quiet and compact, good size for 2 people. Runs very quietly and is a very good quality product. Very energy efficient as well! Happy with fridge and more than happy with Appliances on line! I am thrilled with my new fridge. It was delivered promptly and with total care. Thank you. Bought this Westinghouse WTB2300WG fridge as a second fridge to replace an old bar fridge as we needed additional freezer space. Have had it for three months now and very happy with it so far and the price on Appliances Online was the best I could find at the time. The fridge capacity is about the same as the old bar fridge and the freezer is great for overflow items at Christmas time. Even better is the freezer is frost free. There were similar sizes that were cheaper but when comparing the running costs this one wins hands down with it's 3.5 star energy rating. Shelves are all glass with the full length LED lighting making things easy to see. Would have been nice if there was a light in the freezer compartment though. Interior layout is pretty good and we have managed to fill up all the small spaces as well. Quality inside and out looks good with the exterior surfaces an easy to clean dimpled texture. The instruction manual mentions this fridge makes all sorts of noises but they are normal. So far I haven't noticed any, just sounds like a normal fridge and the compressor is pretty quiet when running. Doing what it is supposed to be doing!! All in our office are thrilled with the new fridge, compared to the old one!! Much more room and good freezer section. This is the first brand new refridg erater I have ever owed in 72 years! It is wonderful with just enough space and compatments for my one-person needs. The vegetable crisper is the best having depth to it like no-other and my vegetables stay lovely and crisp for over a week. The freezer holds full size fish alonf with a variety of frozen food items. it really has proven to be a great investment for me. I am happy. ......and the cost of electricity useage?- minimal. Bought this frig partly on Westinghouse brand,has not lived up to any of my reasonable expectations.One selling point was adjustable trays,problem is that they adjust themselves by falling out!Vegetable crisper has to constantly moved so as to enable door to close.Not happy with temperature,not cold enough. Bought this small fridge for the garage to replace the older and inefficient one we had. It is perfect for the garage. It would be a little small for a family to use as their main fridge. We have a larger Westinghouse in the house. I bought this fridge one mont ago and so far it proved to be good value for money. I bought this for a present for my mum - she loves it. Perfect size for 1-2 people. She loves the extra freezer space. This my 2nd purchase thru Appliance Online and my first fridge. I like the product very much & it is working fantastic so far. Good - does the job! Nice, clean product. Bit small - but good size for two people. Does the job. It also seems to hold on to smells from food quite strongly. Bought this a month ago. happy with the product overall. Would have liked more Fridge section. Sometimes gets too cold and forms ice allover. This fridge was great value for money and just perfect for one person, and the small area it had to occupy. I bought my fridge a month ago and I have no complaints. Delivery was fast and installation was easy. I especially like that they let you know when they're on their way with your delivery. My favourite aspect aspect is it's slightly more environmentally friendly. It's small but just what I need, and therefore uses less power and costs less to run. Also the refrigerant will be less harmful to the environment than others when eventually I do move on from this one. I bought this fridge a month ago and its the best buy because it is spacious for two persons in an apartment. No problems with the fridge and is very quiet. Great energy rating and looks very modern in my kitchen. The Westinghouse is a relatively good fridge freezer but probably would prefer more fridge and slightly less freezer. The Westinghouse were better quality made in Australia but the price value is good and functions well so far. Purchase experience was good. I've had this fridge for a few weeks and it's the perfect size for me. Pretty energy efficient especially when I barely open the door. Plenty of space for me (one person) I love the fact that the freezer is bigger than most models. Very noisy, sounds like boiling water. Every guest we've had over at our house has agreed that this noise is not acceptable. had this fridge for 6 weeks now. very pleased with it.